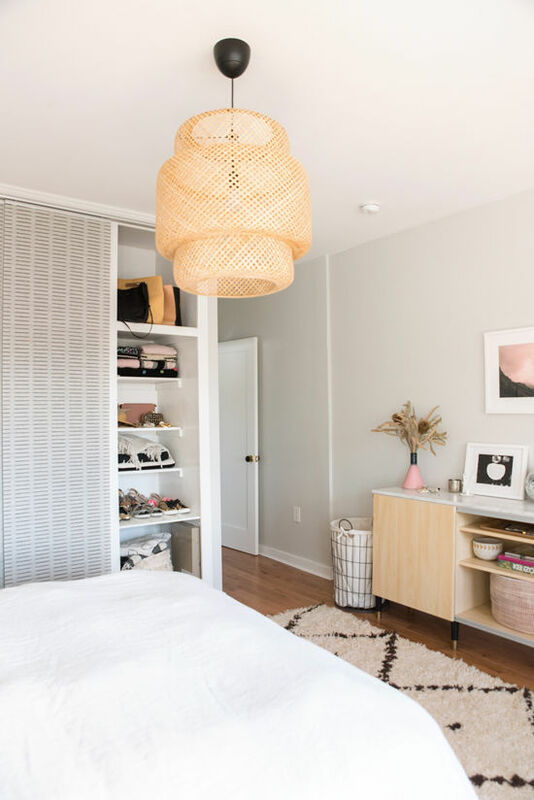 D E S I G N L O V E F E S T » ORGANIZING THE BEDROOM! since moving into my new house back in october i’ve been trying to be really diligent about creating a space that’s reflective of me and my taste but also equally functional and efficient. in terms of keeping the house organized, i would say my biggest obstacle is my bedroom, clothing, shoes, accessories, etc. all needed a home. i worked with IKEA to create an organizational solution for my under bed storage area and really love how it turned out. it’s amazing how much more peaceful and productive my mornings are when i’m not searching for my matching sock as i’m running out the door. i’ve always been an IKEA fan when it comes to home decor, there is something so satisfying about scoring a well designed and reasonably priced item. my bed, overhead lamp and credenza (it’s discontinued now) are all from there. 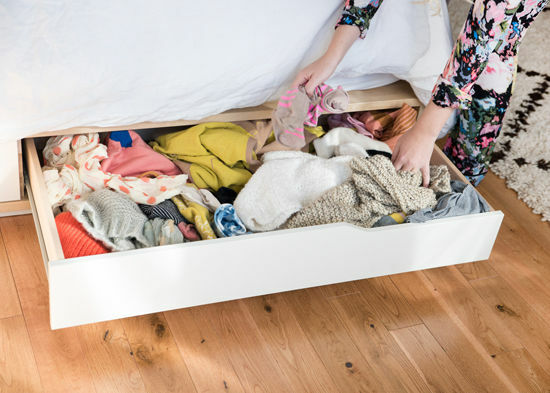 i’ve had the bed for a couple of years now and love the storage it provides but also find that i’m prone to just stuffing things in there since the drawers close and you won’t see it. 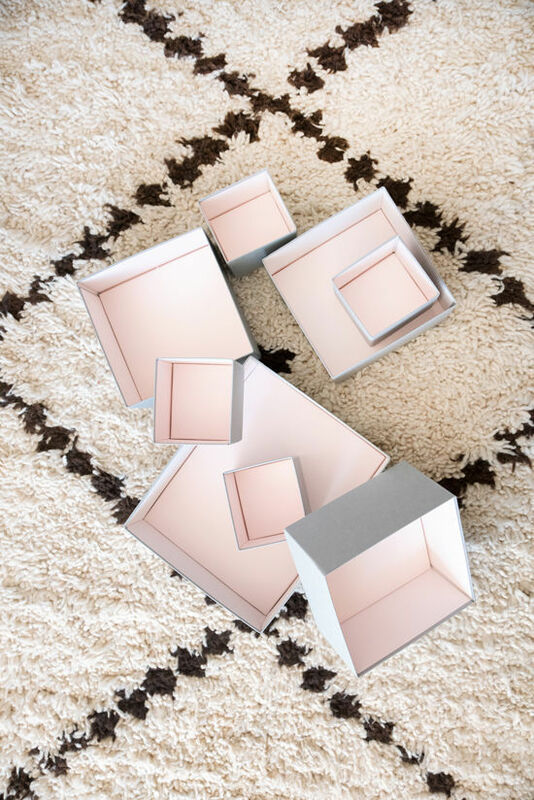 i got these boxes and focused on putting some of my favorite pieces in there, items that i wear a lot or that tend to get lost in the mess, like socks and scarves. 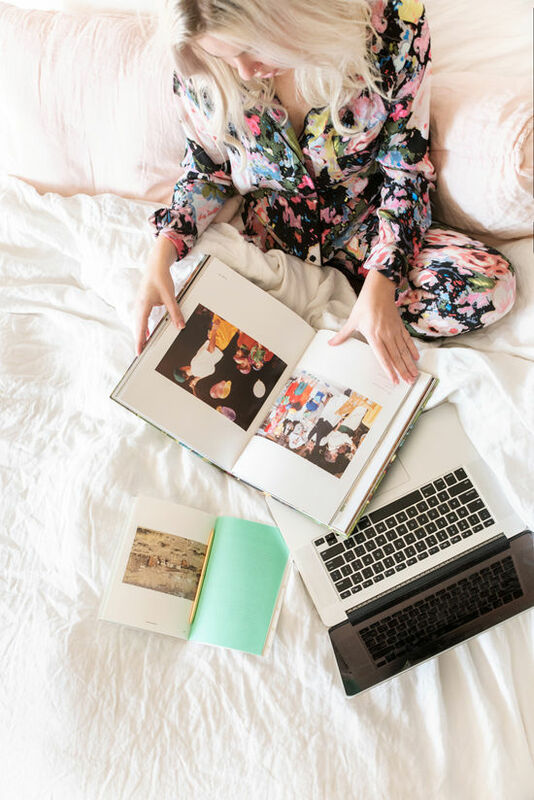 a better organized bedroom means more time to spend on the things i love and i committed to the Daily Creativity Challenge spending 20 minutes everyday for one week seeking inspiration before starting my work day. people often ask me where i get my ideas from and what inspires me and that’s a really difficult question for me to answer. for me, inspiration comes in all sorts of shapes and forms but one thing i know is that i have to be clear headed and present in order to receive it. if my mind is in a million different places i won’t be able to process and absorb what is in front of me. mornings are my golden time, i relish the stillness and find that i get a lot of my best and most inspired work done before 10am. committing to 20 minutes of stillness and inspiration seeking was a really rewarding practice for me. 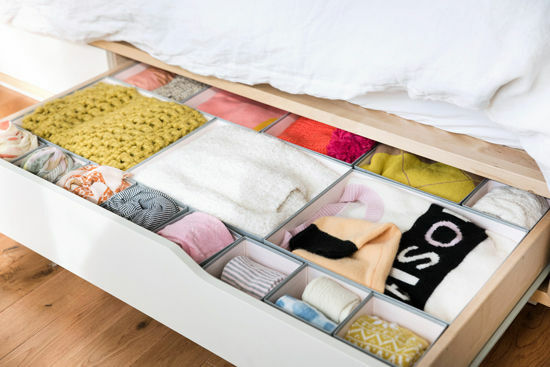 for me, it’s not the easiest to maintain this level of perfection, but every couple months it’s a good idea for me to just clean up and get organized. this is my seasonal drawer above, right now packed with all things warm and cozy. this post is in collaboration with IKEA, a company that i love and have purchased many pieces from over the years. I want this under bed storage space!!! excelent idea ! love this! I savor my quiet mornings too. Usually once my husband has left for work I’ll make a cappuccino, walk downstairs for the Wall Street Journal and spend 30 minutes just reading. No music, definitely no TV, just the words from the page and the sounds of the city outside. It kind of resets my mind so I can get to work! After I drop my husband off at the ferry (SF life!) 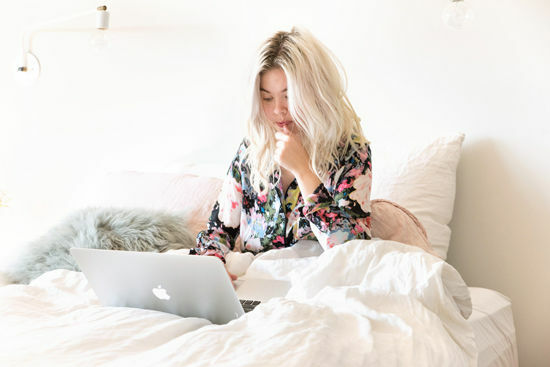 I make myself a coffee and get back in bed to read my blogs and the news… much as I’m doing now. But then it’s time to get up and work and since I’m so immersed in web/blog life I forget to make myself a nice breakfast! So definitely, I would love to have a nice waffle or egg and cheese every morning if I had time/could remember! I love it, Bri! You inspire me to be better! I always enjoy your posts so is it bad if I say that I love your PJs! where did you get those? So clean and organized! I love it!! I don`t work now dear(3 years-> Greece-> story of our lives ha ha) but when I did I was able to be ready in half an hour. I found out though that I felt better and my day went better if I gave myself a little more time. I always get up early and feel more productive. I love your bedroom, it inspires me!As for IKEA my whole kitchen is from there and many other things too, I am a fan. Many kisses! Looks awesome! Where are your pajamas from? I’m obsessed! 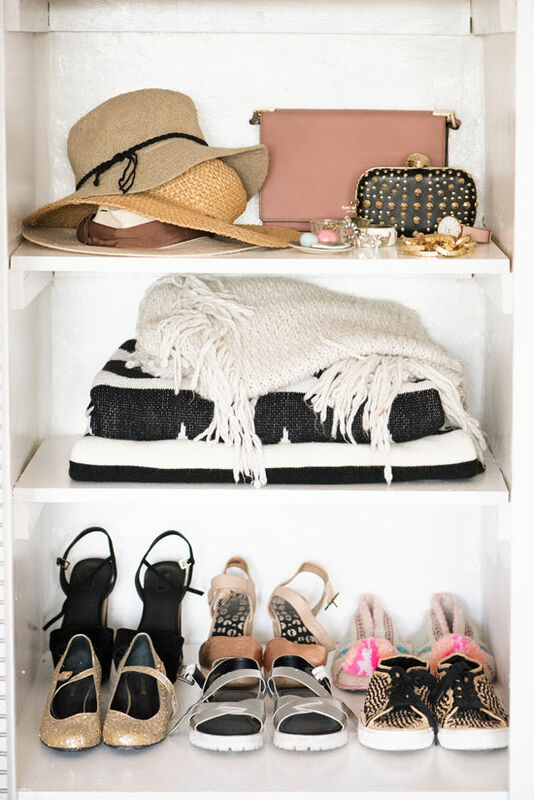 I love an amazing post on organization. I’m such a perfectionist even though I try not to be. But my type A personality sometimes get’s in the way of trying to let go. 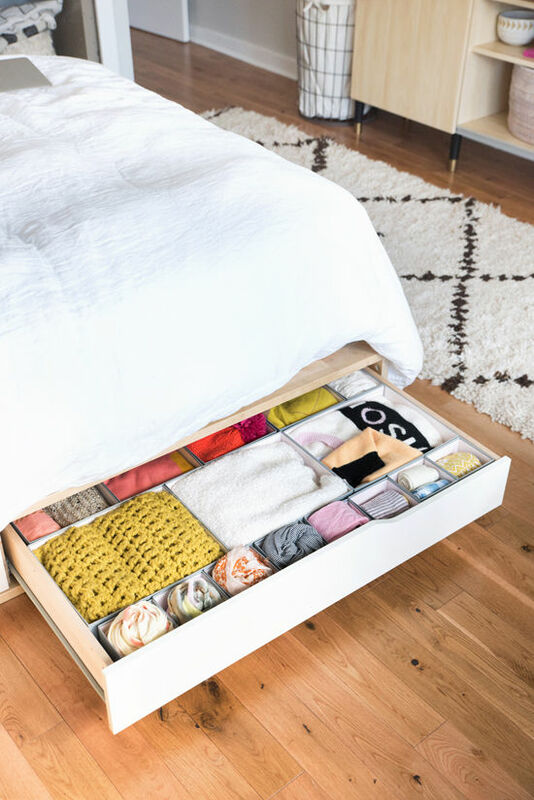 Your underbed storage is such a great solution. If everyone realized it can be easy! 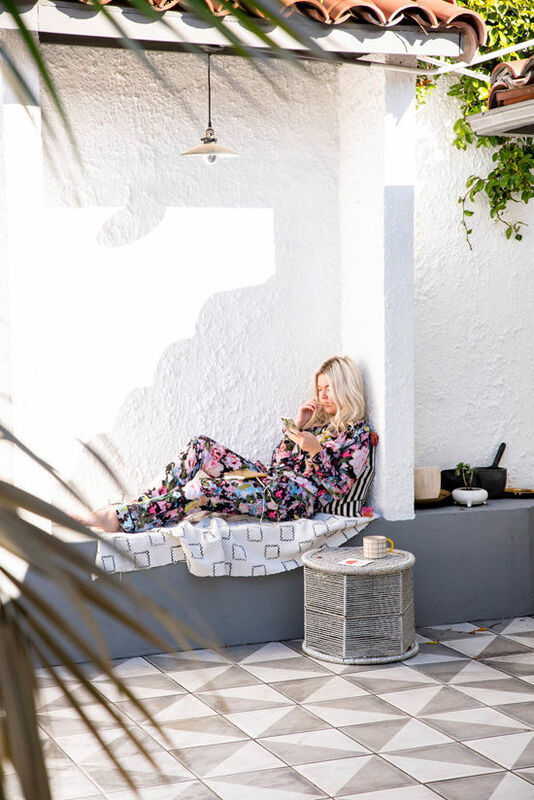 Where are your pajamas from? They are super cute. I am working on my sleep and day schedule, so I am in process of slowly creating a best morning routine. Right now, I always take time to drink a cup of coffee and eat breakfast while spending at least 10 minutes in reflection, prayer, a bit of reading, or journaling. When I work my way up to a regular earlier rising time (! ), I would love to be incorporating at least 20 minutes of yoga or walking. Wow what a beautiful room, the lighting and decor= perfection! What a great under the bed option! Hey Bri, looove the storage solutions! Amazing how much of a difference they make. But what really caught my eye is the Daily Creativity Challenge – what is it?? It sounds really enriching and I’d love to give it a go. Is there somewhere with more info on it? Love reading your blog, it’s wonderful <3 and thanks in advance! Okay, you are giving me such inspiration right here. I have been wanting to tackle the layout and organization in my own bedroom for months now, but I am in that ‘I don’t know where to start’ phase. Each time I walk into the room to organize everything, I turn right back around. I really love how you have the storage under your bed like that. I am now on the hunt for something similar that I can store under the frame of my own bed. Hi! I just finished my master closet using IKEA PAX system and it looks like a dream! Please check it out if you ever have the time ! Thanks! Did you change your closet doors again? Did I miss something?! They look beautiful! My fiance and I recently had the floors of our home office and bedroom redone causing EVERYTHING to overflow into the rest of our home. We are currently living in chaos, but it’s allowed me to go into a state of purging and be very aware of what I decide to bring back into those spaces. So every morning I’ve been working on organizing and creating a beautiful space to live in. Hopefully, by March, everything will be in order and I will have a clear and focused mind. omg! pjs are the very cutest! Where are the white lights above your bed from?? Love them! Did you buy your bed from Ikea? It looks nice!! yes! it’s linked in the post. Lovely post. 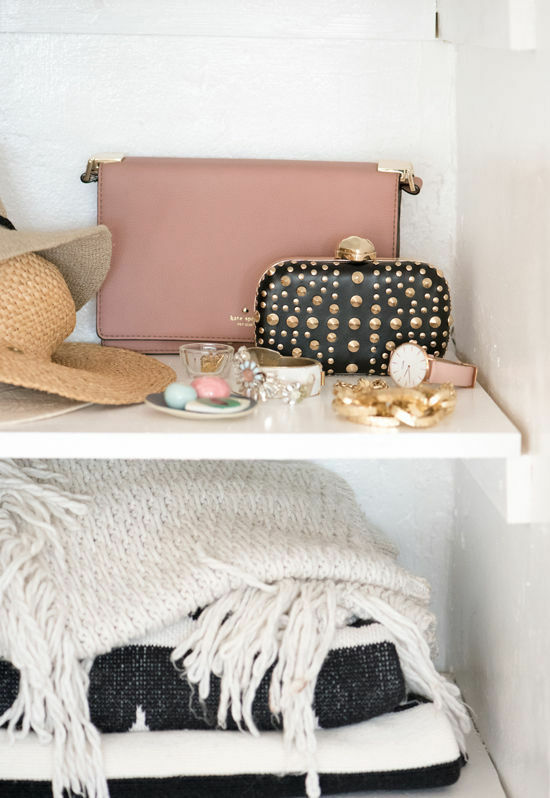 Where did you get your pink bag on the shelf from? It’s gorgeous, I have to have it! Where did u get the bed? Love it!! The mandal bed has been on my radar for a while now. It looks like yours is slightly raised? Did you place something underneath? Love love love your aesthetic! What’s the name of this bed frame? I love your room and bed.